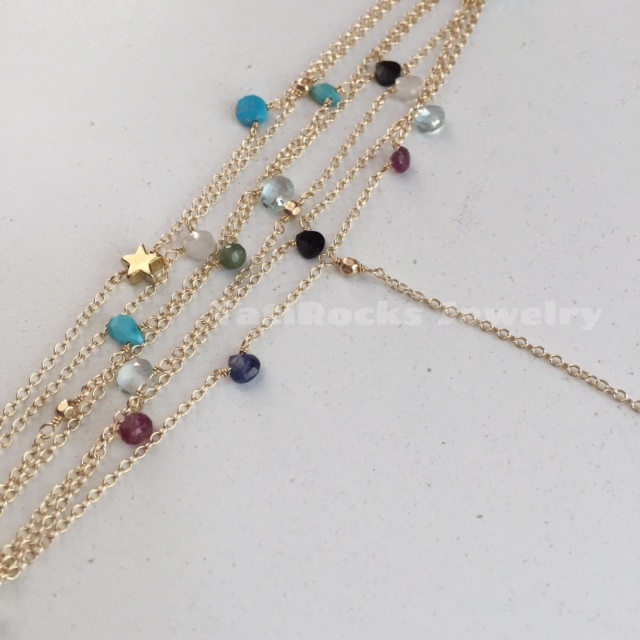 Gorgeous gemstone celebration hand chain, complimented by a tiny side star. Gemstones are all AAA/top quality stones!! 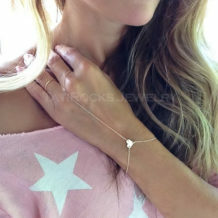 Small star is gold over sterling silver. Available in 14k gold filled or all sterling silver. Please make your selection from the drop-down menu. 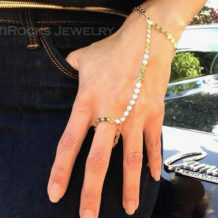 The bracelet measures 6″ at it’s shortest and 7″” at it’s longest. The connector chain measures 3″. * All photos are property of TatiRocks Jewelry. Use of these photos is prohibited unless permission is granted by TatiRocks Jewelry.